Being Indian, Really!! | Business Article | MBA Skool-Study.Learn.Share. Although India winning the cricket world cup sent goosebumps all over my body; Metallica, my favourite band coming to play in Delhi groped me with excitement and being part of a diverse population of over 1.3 billion people really captures me, I have to question my being completely Indian by the amount of Indian products and items I really use. Does it reflect the trust I have for the brands produced in India or am I just too taken away by the West and all that it produces? Let’s run through a normal day and you will know what I mean!! So I begin my day typically by jumping off my bed and heading to the bathroom only to brush my teeth with a solution made by an American Giant in Colgate Palmolive. This is an everyday product and still I shun trusting the Indian makers of something so necessary and essential. It gets better, I then have to have a shave, or else my boss will kick me out and there again appears Mach 3, by Gillette, another one of the American creations. It continues with the shaving cream and the after-shave that goes with it. I could do better, but this is a class product and why should it matter if it’s American. The shower is soon done and I now wear inners by Jockey, another American designed fabric to give me comfort. Is it just me or am I using an awful lot of American brands now? It’s time for worknow and when you think of working in a media company, you can only think of wearing Jeans and wearing Jeans typically means Levi’s. Yeah the fourth American power brand which comes and steals my heart from the local assortment which I could never trust. Or could I? No, I wouldn’t. It’s time for those Polo neck t-shirt and it’s either German in Adidas or Italian in Benetton. Atleast I have now moved to Europe and broken the American stranglehold but it still is not Indian. Textiles are one of our major exports, just for your information, but apparently I prefer importing my stuff from outside the subcontinent. I then spray myself with a potion from another big American powerhouse in Axe. Yeah, that should make me feel pretty fresh. Time to lace up and once again it’s either Adidas, with their lovely German finishing or the recently purchased Nike to make that lasting impression. Ok, so Mum calls me to the breakfast table and what do I have, a bowl of Kelloggs, classic cornflakes from the American giant which has somehow replaced the bread and toast. The coffee is Bru which is relatively Indian but again has a British and Dutch feel to it. The Europeans have not left us now, have they? So I am off to work now and now finally use something Indian by alternating between the BEST bus service and the Indian Railway System. I don’t know driving, but I would have liked some Japanese brand to take me off to work but that’s for later perhaps. I then go to a workplace where, I am part of a huge MNC which provides me Media Planning expertise in Mindshare, whilst handling huge foreign accounts like Castrol and HSBC. I passed out of college this year and my institute sent me to Uganda to do my summer internship in a Japanese company in Toyota and then to Kenya. Again, I shunned the Indian system for experiences abroad. It’s lunch time at work now and I need to munch on food and hence I can only see the Chinese and Italian delicacies (pizza’s and frankies) on the menu card. So much for the Dal Chawal and MeduVada etc. The break continues and my mobile phone then takes priority. Calling and SMSing has now become a routine and that is where I get my Taiwanese friend in HTC. Yeah, had I to dump it, I would choose from a Korean in Samsung, a Canadian in Blackberry or hope and wish that someone could give me another American in Apple. I then get back to work and getting engaged in conference calls around the world with brand managers at Castrol. Its evening time and all I want is a McChicken and a Coke. These Americans surely don't plan on leaving me anytime soon, now do they? I return home, to sit on the computer for some relaxation and recreation and Mark Zuckerberg has fooled me to believe Facebook is a way to unwind. Yeah another big time American billionaire who has entered my personal space? I do all this, looking at my desktop screen which is so South Korean in LG and also American ingredient branding in Intel. While all this goes on, I am busy getting into a trance with Pink Floyd and his psychedelic stuff and a few head banging courtesy James Hetfield and Kirk Hammett from Metallica. I even have a Gmail email account, which is American and I continue to use it because I love it, although my first account was Sabeer Bhatia’s Hotmail, which I so hastily rejected. So much for switching!! Then its champions league night, and there is only one team out there in Manchester United. Yeah the Red Devils from England. I could have very well supported the East Bengals, Mohun Bagans or even Mumbai FC, but no I want international coverage and hence Manchester United is the one team I would support. The chance of me knowing the first eleven in the Indian football team is rather bleak compared to me knowing the entire 23 squad of most European clubs and countries. There are a lot more brands which I believe I use, and which are not particularly Indian but then again that is how it goes. So it’s the end of one hectic day and it’s time to sleep and in the end I realize the only thing Indian (except the transportation)the whole day was my naked body in those clothes and shoes and feelings and emotions etc. 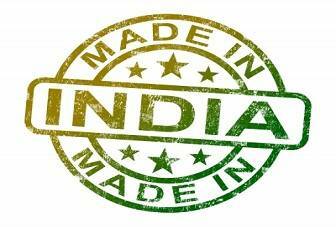 This is not to say that I am unpatriotic or anti-Indian when it comes to buying my products, but I believe many of us can relate to the fact that, we have a particular liking to the West and all that she has to offer. We may hate to admit it, but the truth is that there lies a certain degree of dissonance towards the products our fellow brothers produce. This is not because we are bad at production or marketing, but the brand awareness created by huge MNC’s is something we could all strive for. When we look at Nike and them selling pairs at $80, we realize that all the shoe costs are just about $14, whilst the remaining goes into marketing and brand building. These are the brands which have built a cult for themselves and have made themselves status symbols. Today people recognize you by the Nike shoes you wear, the Adidas apparel you carry off, the Louis Vuitton shirts you carry off and the sweet cars you drive. An argument thrown at me would be that many of these mammoth products are actually developed and made in countries where labour is cheap and easily available, like that in China. However we can’t ignore the fact that the brains behind the products sit in posh complexes in either Europe or America calling the shots. Branding as we now know is inherent and in your face, and it’s something which talks about the owner and at all times the owner wants to be recognized and create an aura around him. Branding just does that. It can make a simple, uninspiring, commoner become a favourite with the women, just like how Axe shows us all in their communications. So while product quality might be very necessary and very important, it is essential that these products are made into stories and myths and epics that ultimately result in strong brand building. After all without a good brand, what identity does ones product really have?